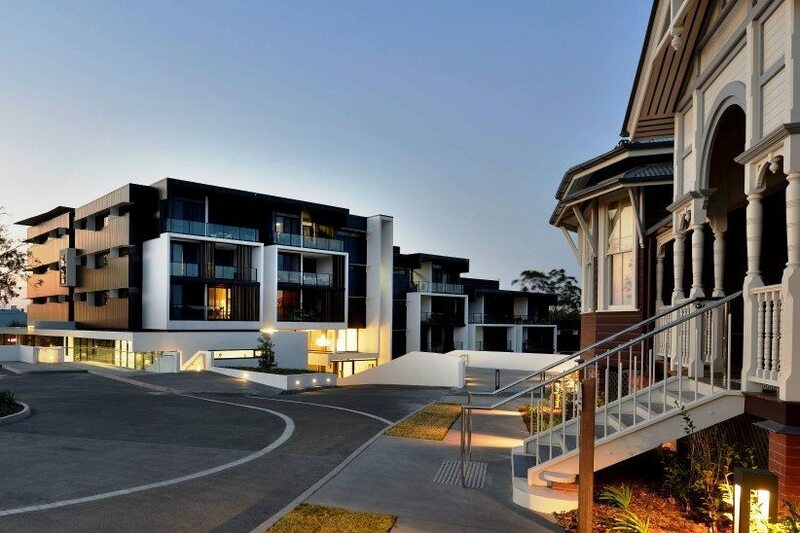 The village development expansion at Coorparoo includes a large residents theatrette and a virtual reception system. 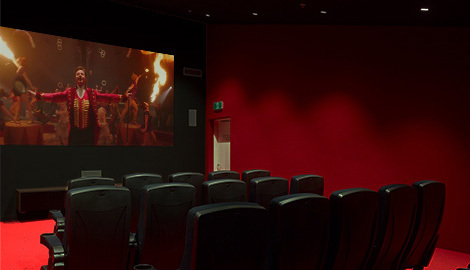 A large 180″ screen, Optoma DLP Full HD projector, Sonance multi-channel speaker system and an Integra AV receiver together create a wonderful cinema experience, conveniently located in the lower floor of the building, with lift access and no stepped tiers to aid mobility impaired. Residents can use Bluray, DVD or even a smart phone or tablet for their content. A simple experience and reliability was imperative; an in-wall 8″ touch screen facilitates exceptional ease of use for even the most tech-averse or sight impaired, while keeping setting & adjustments locked away. In addition, the cinema is fitted with with an inductive hearing loop system so hearing impaired persons can tune the room audio directly in their hearing aides, setting their own personal listening level. The building foyer is on ground level, but the building reception is located on a lower floor; this would be problematic for unfamiliar visitors. The solution: a camera in the foyer area is displayed on a monitor at the reception desk. Whenever anyone enters the foyer the reception is alerted, if the reception asserts that the guest may need some direction, they can play a welcome video on the wall-mount 40″ screen to provide the visitor with directions to the lift area. when the message is not being played, the screen will display a slideshow of images fro the Village and surrounding areas.